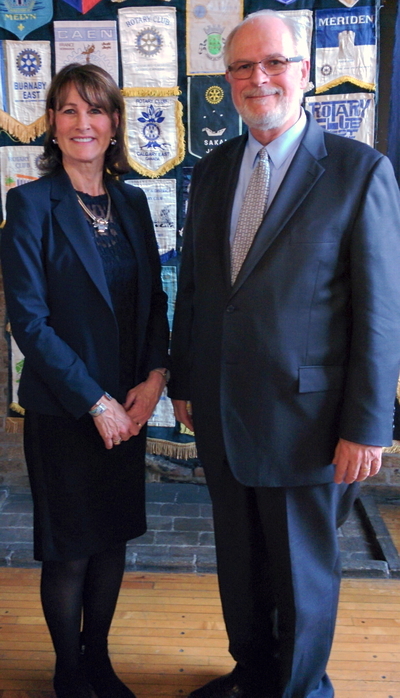 Recently I had the opportunity of a private discussion with the Québec Minister of Immigration, the Honourable Kathleen Weil, at a luncheon hosted by the Montréal Westward Rotary Club. While I will not disclose any confidential remarks I shared with her, let me state that we are fortunate to have such a dedicated Minister of Immigration for Québec. Minister Weil is a highly intellectual person, having graduated from McGill University in history and political science in 1977, as well as holding degrees from the McGill Law School in civil law and common law in 1982. Since graduation and becoming a member of the Quebec Bar in 1983, she served as a volunteer on several boards related to public health and social affairs, was a director of legal affairs for the lobby group Alliance Quebec, and president and director general of the Foundation of Greater Montreal, from 2000-2008. Ms. Weil was first elected to the Quebec National Assembly in 2008, and has been re-elected twice since. She held the post of Justice Minister in the provincial government from 2008-2010, and as Immigration Minister from 2010 to 2012, when the governing Liberal party lost the provincial election. Following the return to power of the Liberals in 2014, she has acted as Minister of Immigration, Diversity and Inclusiveness since April 23, 2014. Immigration is an area of government responsibility where political and international events may have a major impact on existing programs, and require dynamic action to meet new challenges and opportunities. For example, during summer 2015, when the magnitude of the Syrian refugee crisis became known, and this in the midst of the Canadian federal election campaign, the various federal leaders were making all kinds of promises. However, it is the provincial governments which have the ultimate responsibility to settle refugees. Minister Weil was the first provincial immigration official from across Canada to step forward and commit to actually accepting Syrian refugees. This showed courage and leadership on her part, and is in the finest tradition of our city and province, which has so warmly accepted millions of immigrants over the years. One of the main streams for permanent immigration to the province of Quebec is that of skilled workers. Minister Weil is determined to improve the selection and processing in this regard. Although a new, online application procedure was supposed to have gone ahead earlier this year, and had to be suspended due to insufficient government server capacity, it should be up and running by early summer 2016. There is one significant issue that remains to be resolved from the point of view of the English-speaking community here in Montréal. During the brief, recent regime of the pro-sovereigntist Parti Québécois, the then government raised the level of French-language abilities necessary for most skilled workers for permanent residency in Québec, from “low intermediate” to “high intermediate”. As we all recall from school days, it is not the first few marks, but the last 10 or so, such as going from 72% to 82%, that are the hardest to score on tests. The high intermediate French-language proficiency level has proven difficult for many individuals to meet, and they have, unfortunately, chosen either to immigrate to other areas of Canada, or to return home to their country of origin if already here in Québec. For example, it may be extremely challenging for persons to take the lengthy time required to master a second language when their core work duties are already occupying so much of their efforts. Many occupations require persons to work far beyond the traditional “9 to 5” schedule, especially in more important posts dealing with significant intellectual and/or managerial responsibilities. But these are exactly the kinds of persons we wish to attract to Québec. Our Firm has been able to make special petitions to Québec Immigration to request an exemption from these requirements in certain cases, and is working closely with French-language instruction providers so the language tests may be prepared for and passed whenever possible. However, we hope that in the not too distant future, Minister Weil will be able to reverse the decision of the PQ and reinstate “low intermediate” as the threshold requirement for selection for permanent immigration to Québec for skilled workers. This too will be a matter for her to show her leadership and integrity.